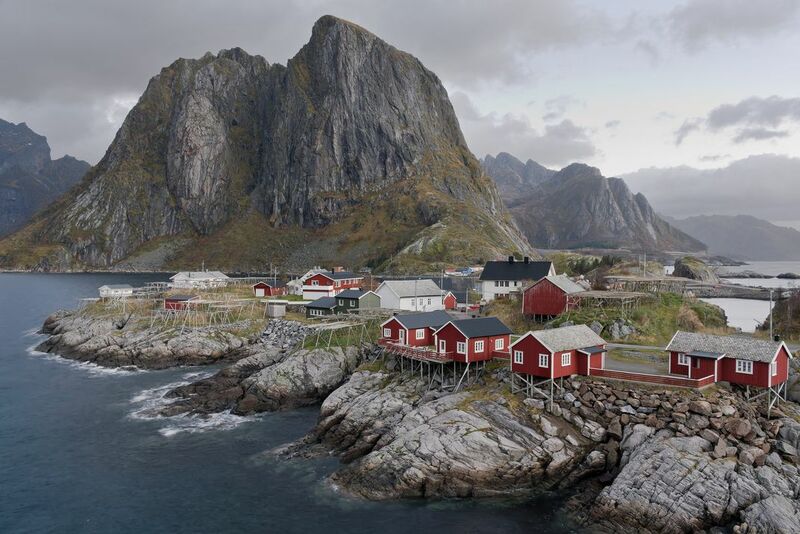 The image shows the little village Hamnoy in Lofoten archipelago, Norway. Most of the time it is cloudy here but the red wooden houses, called Rorbuer, bring a bit color into the landscape. Date Uploaded: Oct. 29, 2018, 10:48 a.m.